Today introducing an update of a mod that opens a new dimension in Minecraft goodies. Her name is Candy Land 1.3.2 and allows us to eat several types of sweets in Minecraft, and blocks or bottles of chocolate, licorice sticks and a new set of tools in this case are mint, among some other new crafting items, thanks to this mod and this new dimension. Let’s make Minecraft more sweet! 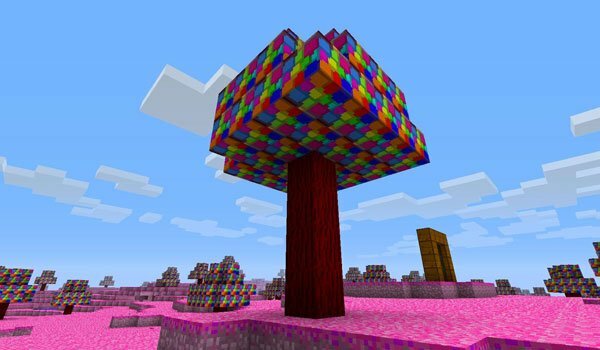 How to install Candy Land Mod for Minecraft 1.3.2? Download Modloader and Dimension API. Paste files API Modloader and Dimension. Sweets and chocolate in Minecraft!